K Money Mastery 2.0 Review - Stefan Pylarinos - Is The Training Legit? Stefan Pylarinos says that by following this training program, you'll be able to achieve your dreams of having financial freedom. 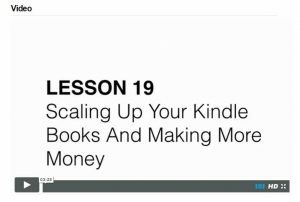 In this step-by-step training, Stefan will show you how you too can follow his steps to sell Kindle Books on Amazon and start making money online straight away. I've purchased the training and in this K Money Mastery 2.0 Review, I will show you everything that it includes to help you decide whether or not you would like to try it. What is K Money Mastery 2.0? 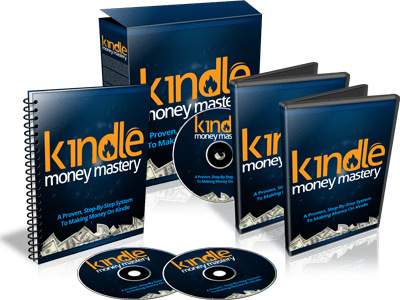 K Money Mastery 2.0, is an online training platform that will teach you everything you need to know about selling Kindle books on Amazon without writing a word yourself. This means, even if you're not good at writing, it doesn't matter. 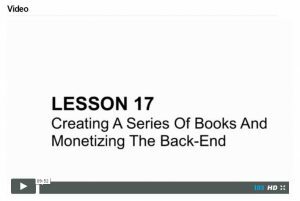 You can still make money with this training, because you're not going to actually be writing the books yourself. Stefan's training will teach you exactly how to do this. Selling Kindle books it's not as simple as it seems. You would think that you could just pay somebody on Fiverr or UpWork to write a book and then publish it on Amazon yourself, right? There's a lot more to it than that. This is why I think this training is so important. There's a lot you need to know, and Stefan reveals everything to you in the training. This is Stefan. Unlike most of the scams I review where the real creator hides and never show themselves, Stefan is a real guy. He's a legit guys who's had success across many different areas including affiliate marketing, creation and selling of products, SEO, PPC etc. He's been involved in pretty much every way to make money online. However, he says that the making and selling of Kindle books is his favourite method to make money online. He says it's by far the easiest and fastest way to make money online and you can have a book written, published and making you money in under 24 hours. All of this without any writing skills or technical skills or anything at all for that matter. Anyone can do it. Because you're not going to be writing the books yourself. You're going to be hiring people to do this for you. The question you're probably all wondering is what does the training actually include? What will you learn? Is it good? I've gone ahead and purchased the training to save you the time and money so I will go through all of it and show you what's included. I'm not going to show you too much, because I think Stefan would get pretty angry. However, I'm going to show you as much as I possibly can. There are the different tabs that we see inside K Money Mastery, there are plenty of different tools for us to utilise and help us start making money. There are 21 lessons in total, not including the first overview page. Each of the lessons has numerous step-by-step videos to follow. The videos are very informative and couldn't be more easy to follow. They're very helpful. Stefan does a great job explaining exactly what to do. Along with the videos, each lesson also has some PDF's with instructions. 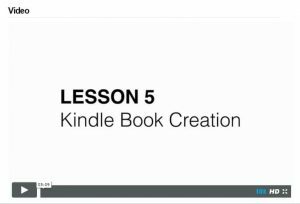 The first lesson you'll see, which isn't really a lesson is just an overview of Kindle. 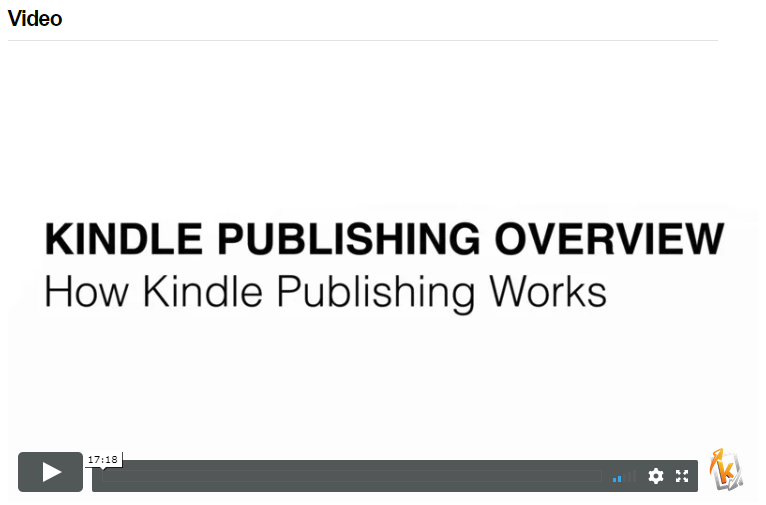 This page contains an overview of Kindle publishing and explains to you exactly how the business model works to make money as a Kindle publisher. There are 5 different videos under this section all of them being between 10-30 minutes long. 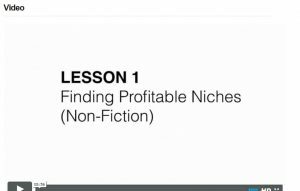 This lesson goes into how to find a profitable niche for your first Kindle book. This is by far one of the most important steps. There are 2 videos under this sections to help you decide what niche you're going to make your book. 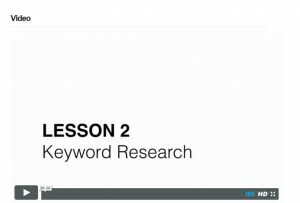 This lesson goes into how to do the research and competition analysis to see if your keywords and niche will be profitable. This lesson ties in with lesson 1. Some niches are over-saturated and will be hard to sell books. So, this lesson will show you how to recognise a profitable niche by using keyword research. This lesson is self explanatory. 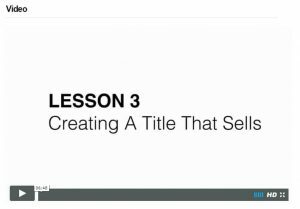 It goes into how to create a title that sells your book. Choosing a title is very important, it's one of the main things that the customers will be drawn to first. 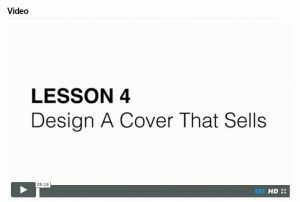 This lesson goes into how to design a cover that sells your book. Just like the title of your book, the cover is also incredibly important. The saying is “don't judge a book by its cover”, but most of the time that's what people do anyway. So you're going to need a nice looking cover. 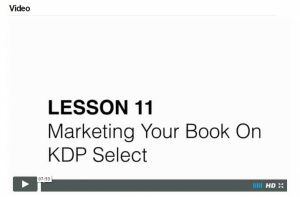 This lesson shows you everything you need to know about writing your own Kindle books. It also shows you how to outsource and find people to write the books for you. So you have two options. If you're good at writing and don't want to spend money hiring other people, you can write them yourselves. Or, you can outsource and hire someone to write books for you. Stefan shows you the best ways to do both. 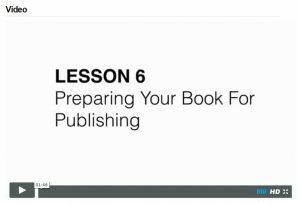 This lesson explains how to prepare your book before you actually publish it. There are some things you should do first before just publishing it. 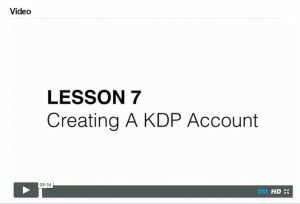 Setting up a KDP account is an important step because having an account will help you get publicity on your books, which will result in more sales. 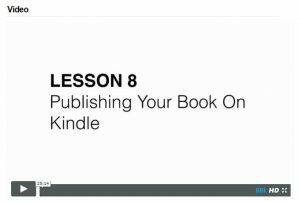 This lesson shows you the best ways to actually publish your books on the Amazon Kindle platform. Showing you tips and tricks how to optimise your listings to get more clicks and better results. 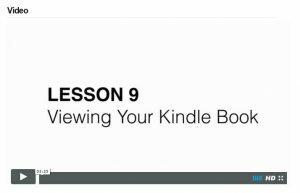 This lesson just simply shows you how you can view your Kindle book to see how it looks and ranks. He also shows you how you should update your listings to rank better. This lesson shows you how you can get reviews for your books. Having reviews is a massive part of selling books. Nobody wants to buy a book with 0 reviews. They also rank a lot better when you have some. Stefan explains that there are two types of reviews: verified and unverified. He shows you how you can get verified reviews which will be a lot better for your books. 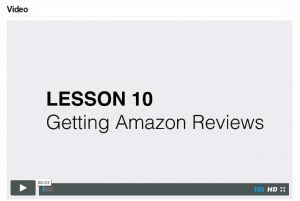 This lesson shows you important strategies, tips and tricks on how you should market your books on Amazon. In 2018, using social media platforms is a very useful and effective way to promote anything. 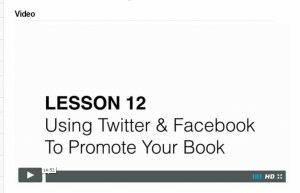 In this unit of K Money Mastery, Stefan shows you how to use Twitter and Facebook and other platforms to promote your books. 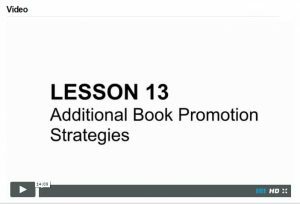 This lessons shows you some other methods that you can use to promote your book. Social media is effective, but you should utilise every method that you can. Stefan shows you the best ways to do this. 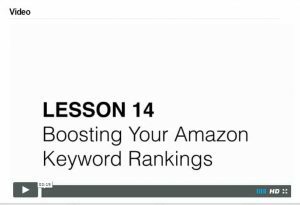 This lesson reveals more ways to boost your keyword rankings. Stefan goes into detail, showing you exactly how to do this. 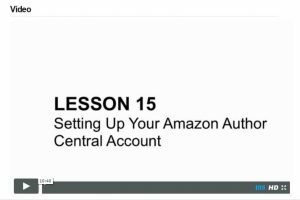 Setting up an Amazon Author Central account will build your credibility and authenticity. This will mean that customers will feel a lot more comfortable in purchasing books from you. 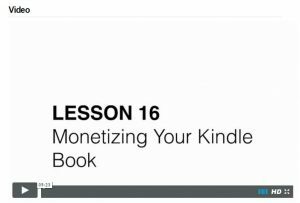 In this lesson of K Money mastery 2.0, Stefan shows you how you can earn even more passive income by monetizing your kindle books. This means placing ads on them. It's another source of income, not a huge income, but it will add up over time. This lesson explains how to create a series of niche related books. For example, if you've got a book called “How To Make Income Online in 2018”, you can write other books within the same niche and create a series. This will enable you to potentially gain a bigger fan base and in turn, earn more profit. 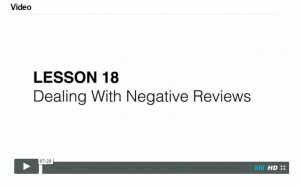 In this lesson of K Money Mastery 2.0, Stefan explains that no matter what the book is, it's inevitably going to receive some bad reviews. Even some of the worlds most liked books such as the Harry Potter franchise receive some negative reviews. So it's important to know what to do when you get some and how exactly you should handle the. You will be shown exactly what to do in this lesson. This lesson will detail ways how you can up scale your income. It also focuses on how you can learn from any mistakes that you made from each book that you create and publish. Sometimes, a book will sell well for a short while. But it will slowly lose attention and stop making the author money. 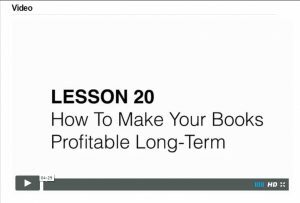 This lesson shows you how to keep your book earning money in the long term and prevent it from losing popularity. Stefan and his brother have developed their own software called K Optimiser. 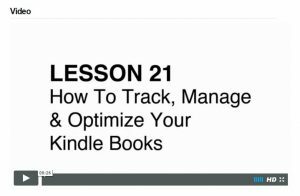 This lesson shows you how to use this software to track, manage and optimise your books. He explains that once you have numerous books published, the tracking of them can become overwhelming. This is where the software comes in to make it a lot easier to do. There we have a brief description of all of the lessons inside K Money Mastery 2.0. As I previously mentioned, each lesson has numerous videos and PDF's to follow with step-by-step instructions. They are all incredibly informative, easy to follow and honestly are just fantastic. Along with the 21 lessons and everything inside there, Stefan also provides you with other tools that will help you complete the tasks given to you. Here's what's inside the “Downloads” tab. 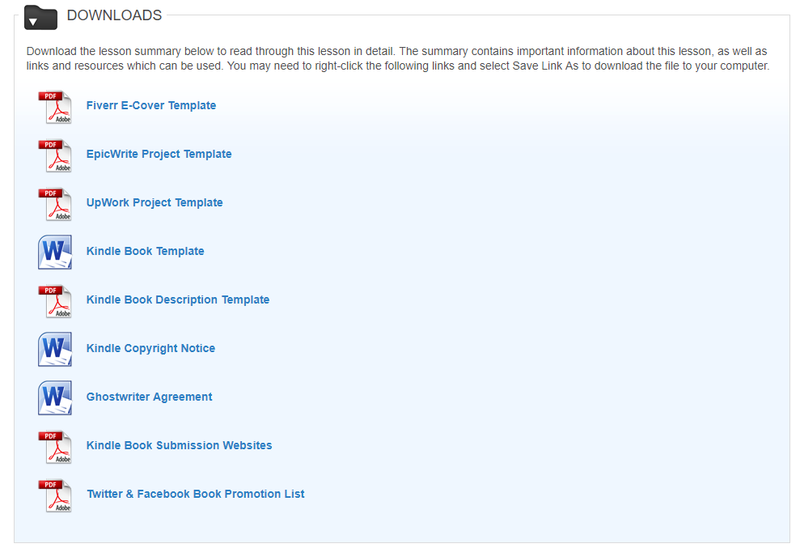 Some templates that you can use to help you when setting up everything that's in the lessons tasks. The templates are very helpful and are basically just a copy and paste job. If you're struggling with the training or you're just looking to improve, then Stefan also has an option for personal online coaching sessions with him. This, however, is an up-sell and will cost you more. But you will be able to speak directly to Stefan and have him help you along the way of following the K Money Mastery 2.0 training and creating your Kindle books. The Verdict – Do I Recommend K Money Mastery? Absolutely, yes! I would definitely recommend K Money Mastery 2.0 to anyone. Stefan has done a great job in creating this training. The training is in depth and extensive. But, Stefan does it in a way that's super easy to follow. 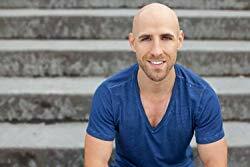 The step-by-step method he uses is great and anyone can follow it. Thanks for reading my K Money Mastery 2.0 Review! Interested In Starting The Training? If you've enjoyed this K Money Mastery 2.0 review, and you're interested in starting the training. Click the button below to get started! If you don't feel like reading, you can watch the K Money Mastery 2.0 Review Video that I made on the Digital Millionaire YouTube channel here. In this video I go through the members area and show you everything inside. Finish Line Network Review – Honest Review Reveals The Truth!